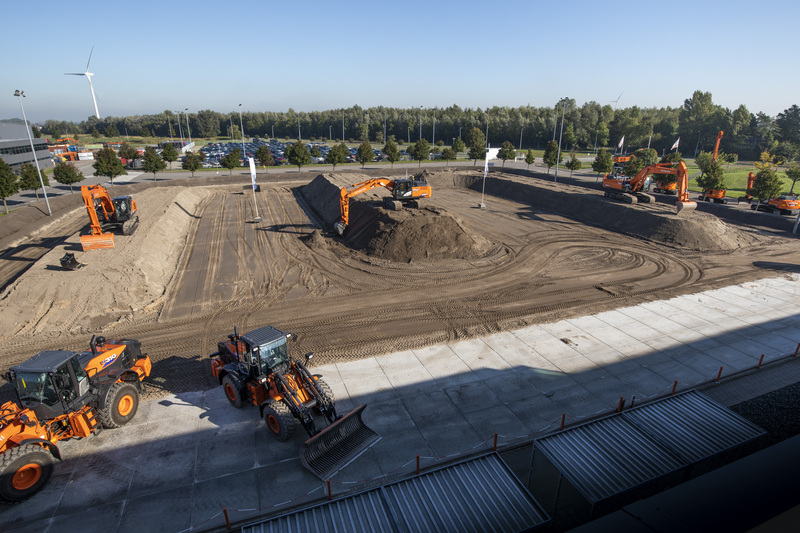 Hitachi Construction Machinery (Europe) NV (HCME) has redesigned the demonstration area at its headquarters in Amsterdam to showcase a wider variety of machines in a more attractive and technologically advanced environment. Its official opening coincided with the introduction of the ZX210X-6 ICT hydraulic excavator with machine control to the European market. The enlarged area at the front of the building has been created to enhance the experience of customers visiting HCME. From the comfort of their seat in the auditorium, visitors will be able to hear the operator in the cab during product demonstrations and see exactly what they are doing, thanks to the installation of a new microphone and camera system. Frank led the redesign project, with support from HCME General Manager Product Management and Engineering Burkhard Janssen and Product Manager Wilbert Blom. Work on the new area took six months to prepare and was completed within six weeks. “The original demo area was built in 2002 and it was only possible to show four or five machines,” says Frank. 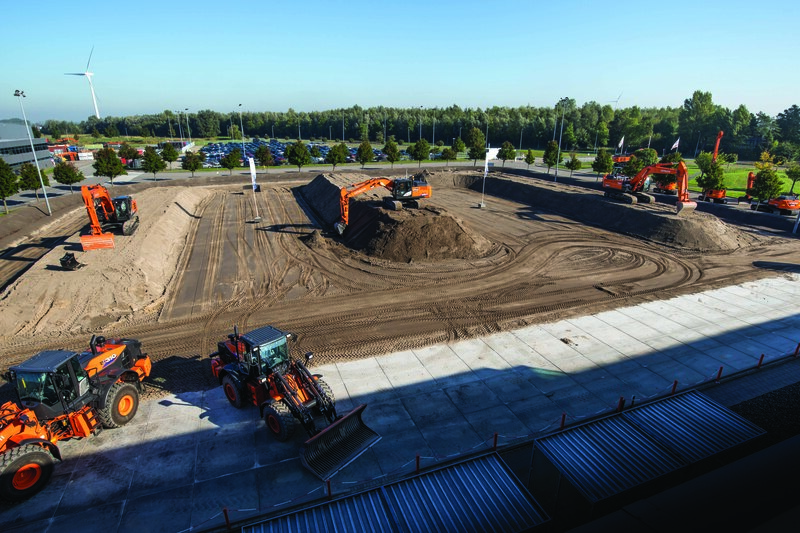 The area was officially reopened on 27 September with a special demonstration of the ZX210X-6 ICT hydraulic excavator with machine control and its associated technology to invited members of the press and European dealers. The demonstration area has been extended by ten metres either side to give an additional 1,500m² of space. A two-metre high embankment that previously surrounded the area has been removed, and a one-metre high mound has been built around the new perimeter, making it easier for visitors to see the machines from the surrounding pathway. Within the area, there are more small hills on which to park machines, and this gives product demonstrators greater flexibility. The surrounding lighting has been replaced with energy-efficient LEDs, and a new drainage system has been installed to ensure the ground remains in optimum condition for machine demonstrations.